Well written and clear descriptions of symptoms, diagnosis and possible treatments, once you have read You Can Heal Your Pet, you will refer to it again and again. You Can Heal Your Pet is an invaluable guide to helping your cat live life to the full. Co-author Rohini is my vet and she is wonderful, she is the kind of person every ‘parent’ would want to entrust the care of their pet. I started reading her book during lunch today and love it, I was totally absorbed. She is just as honest and straight forward in person, dispensing sound advice and absolutely puts the animal’s welfare first. My elderly cat is proving tricky to diagnose and Rohini has and still is pulling out all the stops. 5.0 out of 5 stars A good read, whether your pet is poorly or not. This informative and passionate book delivers sensible and well balanced advice. The format makes it easy to navigate and find what you are looking for. It is, however, very tempting to open the book at random to reveal its treasures. At last we have comprehensive work addressing the holistic approach to animal health in conjunction with the more conservative approach taken by most vets. The writing is engaging and clear. Such an inspiring book, which I have read and re-read and which I believe every animal guardian would benefit from having a copy of. It is packed so full of useful information about how to boost and support your animal families health. I have made many of the dog treats in the last couple of weeks and they have all gone down a storm. This book is really empowering as it gives you the tools to make your own oils, forage and harvest various herbage. You can refer back to the common ailments section as and when you need to and there is also information on various medications, which is very beneficial to know. I love the top tips that are given on each page too and the resources section is very thorough too. I highly recommend this book and have been already to all my friends. Every animal lover should have a copy of this book. I find this book really useful and easy to read. Comprehensive information from diet to lifestyle for cats and dogs. I can’t wait to start cooking some of the recipes for my dog Rose. 5.0 out of 5 stars Unique Blend of Holistic and Conventional Pet Care – the “Go To Book” for any Pet Guardian. 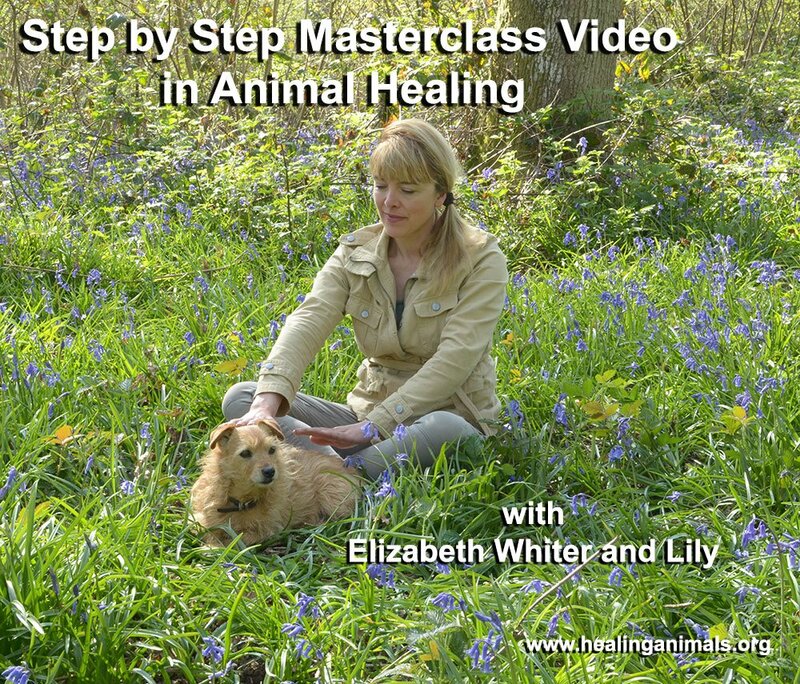 This incredibly informative book is written by two dedicated experts in their field – Elizabeth Whiter, Founder of the Healing Animals Organisation, now celebrating its 10th year, and Dr Rohini Sathish, MRCVS, an accomplished Veterinary Surgeon. Their extensive individual knowledge of both complementary therapies and traditional medicines has been combined to provide a true one-stop shop for help, support and guidance whatever your question may be about your pet’s health. 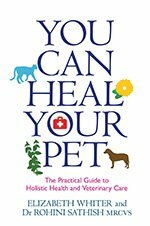 You will find chapters as the A-Z of Common Conditions in Cats and Dogs, Which Drugs and Why and the Vaccination Debate but You Can Heal Your Pet is truly holistic and empowering and there are wonderful guides on how to give healing to your pet, giving a rescue pet a home, plus sensitively written advice on how to deal with bereavement when the time comes for your pet to transition to Rainbow Bridge. At the very least, sharing Animal Healing with your pet will deepen the bond between you, as the greatest gift we can give our pets is our time. This book will make a terrific addition to any pet owners’ library, whether you have just bought a kitten or a puppy or would like to care for your dearest animal friend at whatever stage of life, in a better, more informed way. It would make a great gift for any animal lover too! Love this book and it was launched at exactly the right time for me as our seven year old lab had just had an operation to remove bladder cancer. The book is informative and compassionate. 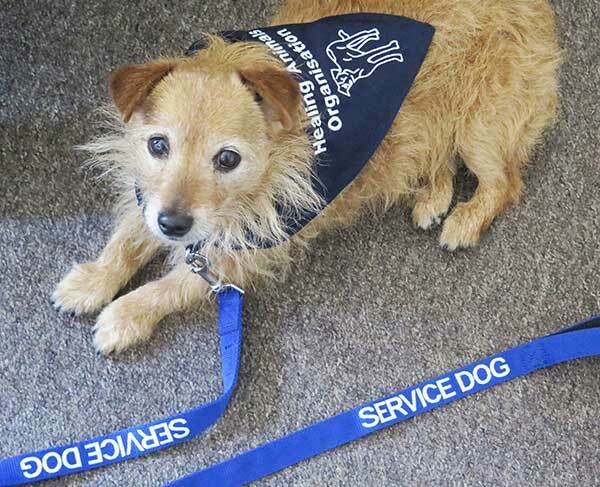 As a holistic therapist myself I was keen to learn and apply the same principles with my dog. I have made the combat cancer turmeric and chickpea biscuits which Toby loves, next on the agenda is the calendula ones, I did however substitute the wheat flour for organic brown rice flour in the recipe as wheat can make inflammation worst. I contacted Dr. Sathish as I had a query regarding nutrition for Toby and she very kindly answered me the same day. Well done ladies your book is wonderful! This book is excellent. It is easy to read, and, as a scientist myself, I was delighted to find that it contains no silly mumbo jumbo. I converted my dog from kibbles onto real food – the recipes are easy to make, inexpensive and nutritious – and within 4 weeks people started commenting spontaneously how well she was looking (and she wasn’t unwell before; just a normal kibble-fed dog!). The diet speaks for itself. There is a sensible, scientifically informed debate about vaccinations, and sensible advice about dealing with dog illness, including conventional veterinary care, herbal remedies and healing approaches. It should be every pet owner’s manual! 5.0 out of 5 stars Essential reading! This is an excellent book for anyone who owns a pet. 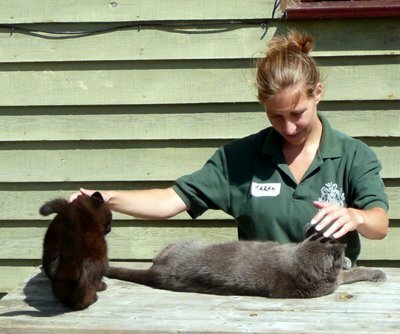 Its combination of knowledge from a vet and a holistic healer is amazing. I love the recipes for snacks and treats which help your pet be as healthy as it can be. I have adopted a dog who had been a stray and whose immune system was very compromised. She’s lost most of her fur! Taking healing advice from the book and using some of the recipes has made such a difference. She also wheezes sometimes and using the acupressure technique from the book has really helped. Fantastic! Every animal guardian should have a copy! 5.0 out of 5 stars Perfectly loving and knowledgeable guidance. Amazing! Fulfilling! Incredible! These loving professionals have come to us at the perfect time, bringing a loving blend of health and hope for our animal family members. With the forward written by Dr Damien Dressler, world renowned Dog Cancer Vet and author of The Dog Cancer Survival Guide, Elizabeth Whiter and Dr Rohini Sathish meld their expertise and passion into a perfect compilation of guidance for us. Buy this, use it, share it, love your pets and help them heal. 5.0 out of 5 stars Wonderful book! I love this book; the structure is great, so clear and user friendly. It was also nice to read about the friendship between Liz and Rohini, and how they came to write the book together. It was my train book for the week and every morning and evening I was excited to get on the train so I could carry on reading. If you treat your pet as your child, then you will need this book. Top tips are provided throughout the book – which helps reading whenever time permits. Some of the ideas could save your pet, particularly if your Veterinary doctor runs out of treatment options. Sometimes, based on the professional regulations, Veterinary Doctors are not permitted to tell you what is not approved by the regulations (even if they like the ideas). This book breaks those barriers and lead you into a journey to do everything that you could possibly help your pet. The book is a remarkable contribution to the pet owners. Numerous holistic ideas are presented while the traditional Veterinary care is not ignored – which gives many options for pet owners. Furthermore, it also provides understanding about the common health problems of pets and the relevant treatment options. The knowledge presented is useful to save your pet.